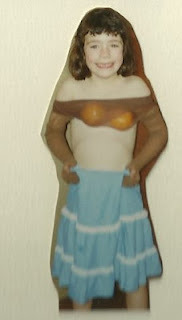 As I mentioned previously, I may have blackmailed some Facebook friends into voting for me in the Sheenazing Blogger Awards using some old photos circa the 90's. 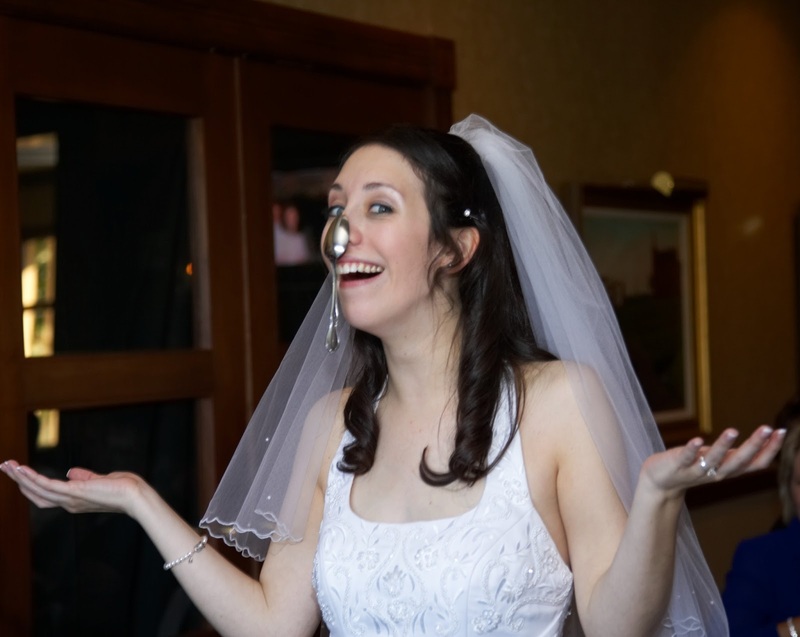 I feel only slightly remorseful for my behavior, but my very sensible sister thinks that it's only fair for me to now post a few ultra-embarrassing photos of myself, of which there is no shortage. In fact, if all embarrassing photos of me were laid end-to-end, they would circle the earth at least 274 times. True story. Let's just start at the beginning, shall we? 4 Months Old. Oh yes, the other children - they were delicious. 6 years old. The pinnacle of my comedic genius. 12 years old. 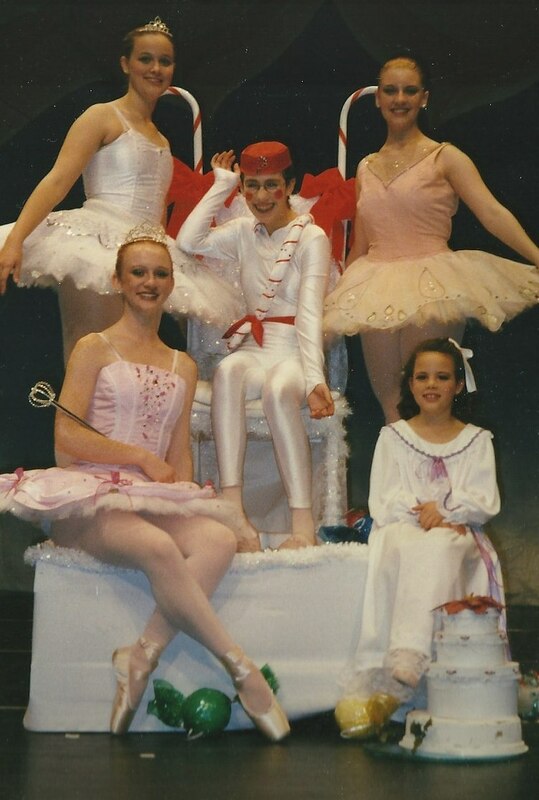 I'm the incredibly suave candy cane in the middle. Thank goodness I didn't go through one of those awkward puberty stages like most kids. so I would have something to blame this behavior on. 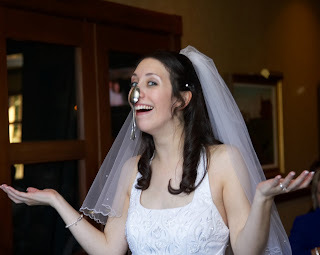 Balancing a spoon on my nose at my wedding. Because that's a normal American tradition, right? Oh it hurts, it hurts. I can't go on. I just had the most brilliant idea to make this a link up - you know, just in case anyone else wants to ease my pain by sharing in the embarrassment. Share in my shame, bloggers of the world!! You know you want to. Girl, half the pictures on my blog are embarrassing pictures of me. It's because I know they're not copyrighted and I'm terrified of getting sued. Also, when I saw the Nutcracker picture, I thought, "Oh, now she's going to tell us she's that Jewish boy in the middle." And then you did!!! Can we blame it on the fact that I'm reading this on the tiny screen on my phone? I know!!! I LOVE the pictures on your blog!!! They remind me so much of ME!!! And no need to blame the phone screen, I totally look like a Jewish boy hahahaha!! If I can get my act together in time, which is unlikely, I'm totally joining your link-up. I'd hop on a plane to visit right now, except I don't do scorpions. And I'm thinking a cross-country trip is probably not going to work for you at the moment...but as soon as you're feeling better I think a homeschool field trip to DC is DEFINITELY in order!!! Aaaaaahahaha these are amazing! I think most of the embarrassing pictures of me are somewhere in the basement with my sister's things... If I can find them/feel like scanning them (or just taking a picture of them because that's faster :P) I'm totally in. I will warn you, I had some SERIES under-eye bags. And never washed my hair. Man, I can't find any of the worst ones. They may have been destroyed... But here's the best I can do! The fattest child. Did your mom slaughter a cow for your breakfast every morning? I mean, those rolls. Show Jordan your ways, infant Jamie. Also are those oranges they used for your costume boobies? Because...genius. I might be interested in this link up, I'll have to dig at my parents house. They've got the goods. I seriously was!!! And she probably did - we lived next to a beef farmer. 21 pounds by 5 months. My girls were TWO YEARS OLD before they were that big!!! wow. you are so brave!!! I don't know if I am quite so brave... and I don't know where my embarrassing pictures are, I think I burned them all. If I find a picture that is not too embarrassing I will link up! Is that still playing by the rules? hahaha yes!! These actually were my "embarassing but not too embarassing pictures" - you don't even want to see my REALLY embarassing ones!!! can I link an old post? and um ....... you as a baby?!?!?! dying. heck YES!! This sad little link up needs some awkward lovin'!! You are the greatest! Those pictures are great and so humbling, I'm sure! I love your personality and it shows in these pictures! HILARIOUS. From the awkward dance recital shot, to the produce inspired dress up and the candy up the nose; are you sure we're not related? 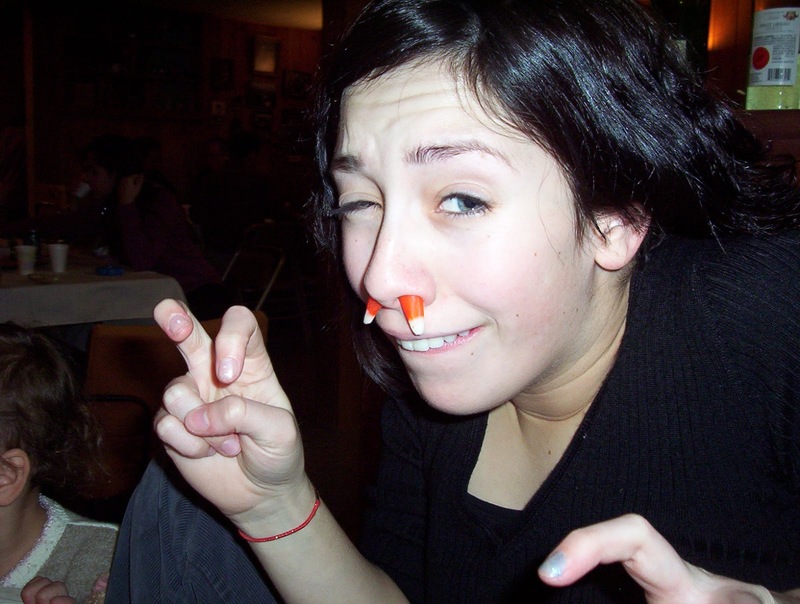 I could probably create a whole second blog devoted to embarrassing photos of myself. I'll have to get working on at least a post because you know I like to keep it real. Okay, if nobody else links up soon, I say we each do a second post. I've got TONS more material, how about you? Quick Takes - GUEST POST!